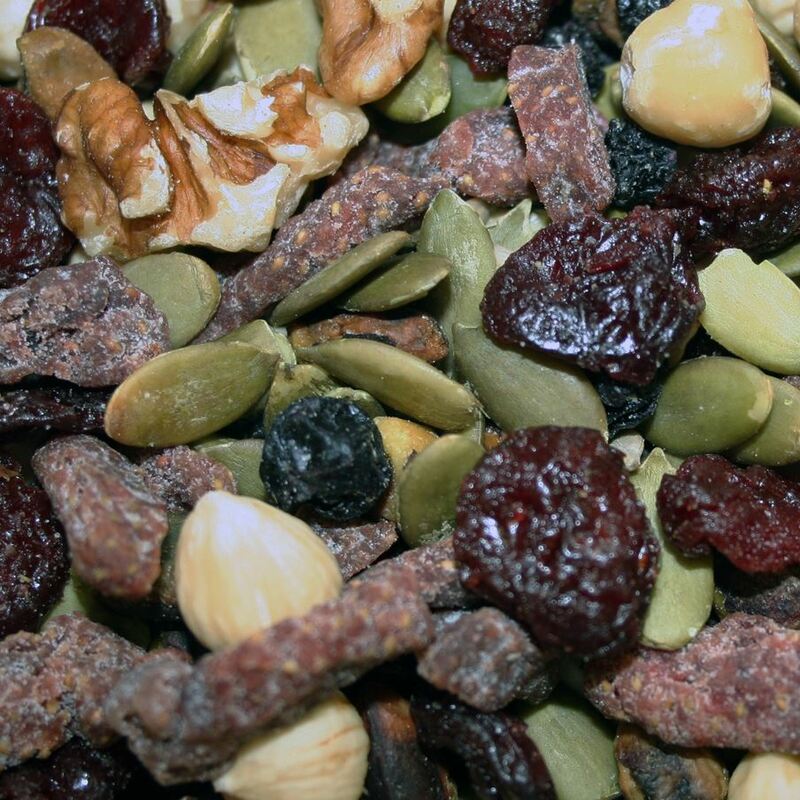 A raw nut, seed and dried fruit trail mix specially crafted to support low cholesterol and protect cells. 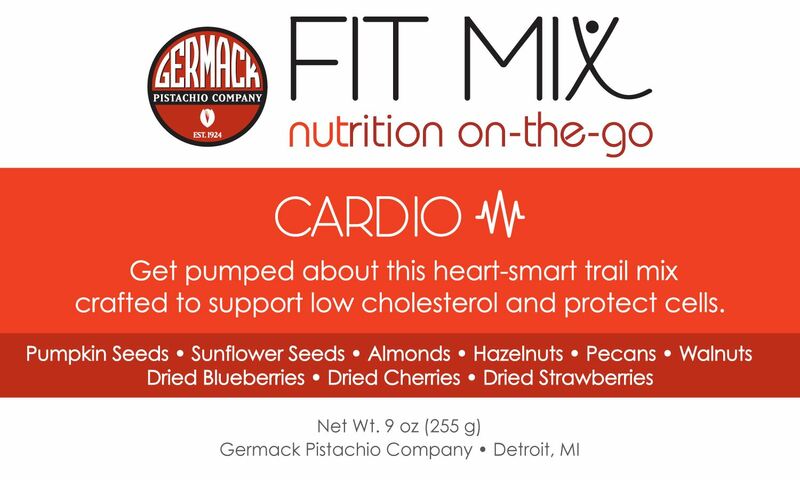 This Cardio Fit Mix is a powerful cardiac snack! 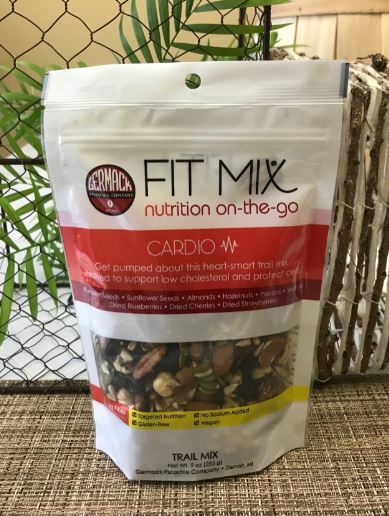 We developed this mix after researching the what the most heart healthy nuts, seeds and dried fruits appear to be. Ingredients: Sunflower seeds, pumpkin seeds, walnuts, almonds, pecans, hazelnuts, blueberries (apple juice, sunflower oil), cherries, strawberries ((low sugar, rice flour, sunflower oil)).